As an organization, we have so much to be thankful for this year. God’s hand of provision rings through in every step that led to opening day on December 5th. The doors to Taste Community Restaurant finally opened! And we have begun creating an impact in our community. I have a front row seat every day to see God’s perfect plan for Taste. I get to watch guests in need be surprised by the blessing of a meal. The gift is met with wonder and curiosity that creates a different kind of hunger deep inside each guest who is blessed. God used something as simple as a meal to ensure these two didn’t feel alone any more. I would love to say I know what happened next; but I don’t—at least not yet. But I know God is working. It is easy to point to the lighting, the furnishings, and the great work our architectural designer did as the source of joy. But little does she know we have an army of folks praying over her and all our guests every day! It just spills out of the building and it can’t go unnoticed. In addition to watching God touch the hearts of our guests, I also get to watch God work through everyday folks every day. 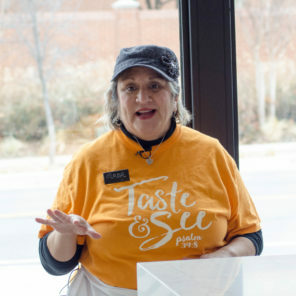 Rosa, one of our regular volunteers, loves volunteering at Taste because, “…we get to come in and make a difference in Fort Worth,” and “everyone is so kind [it] feels like you have a new family”. We’ve had 260 individuals, like Rosa, signup to volunteer at Taste Community Restaurant! Most have never worked in a restaurant before, but each has a unique personality and background to speak words of life into each one of our guests. God uses every one of our volunteers to reach our community in ways we could not do alone. In order for us to have an impact on this community, we needed an open door. Yes, we needed to physically open the doors to Taste, but that’s not what I’m talking about. 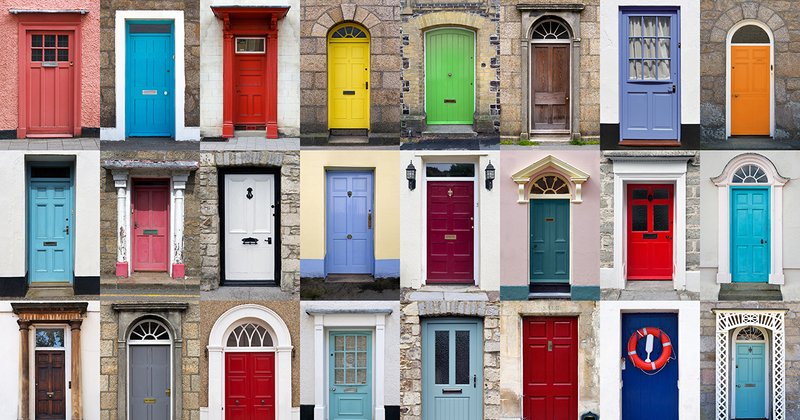 Jason Gray sings it best, “God put a million, million doors in the world for His love to walk through; one of those doors is you!” You are the door God created to reach this community. Will you open the door to your heart and come eat with us? And if you want to see hearts opened wide, sign up to volunteer. Either way we hope to see you soon!!! Jeff Williams is founder and President of Taste Project. He has always had a passion for cooking, food, and feeding people. Being half Italian, Jeff’s heritage feeds his passion and discovery in the area of Italian Cuisine. His vision for Taste Community Restaurant is different than a growing, profit generating, Italian restaurant. His vision is not a homeless shelter or a soup kitchen; but a place where every day folks eat; and those who could not afford to eat there, could still enjoy a meal in the restaurant. In June 2012, Jeff launched Taste Project, and on December 5th, 2017 launched the first project, a non-profit restaurant called Taste Community Restaurant.